Ten years in the making... they're finally ready! After many years of research, Aloe Farms was able to develop a line of products that could be stabilized using very few chemicals. By incorporating only tried and true ingredients that have been proven to be effective over the years, our products are guaranteed to provide results. The secret to youthful, beautiful skin is Aloe Vera. For years, Aloe Vera has helped men and women fight the aging process. 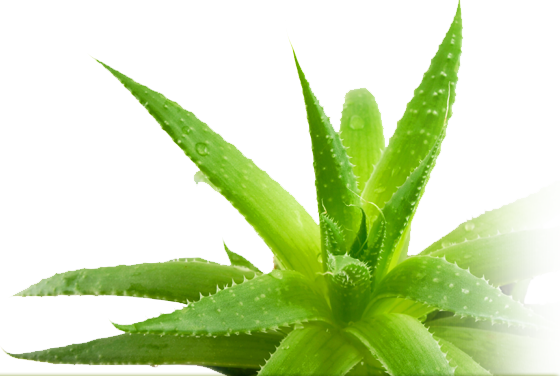 Many celebrities have been using Aloe Vera to keep their skin soft and young. We have had many customers tell us how young they have been told they look because of using Aloe Vera. It has also been helpful for those with acne problems and scarring from acne. Stop destroying your skin with all those synthetic processed skin care products. Treat your skin the way nature intended with natural products. Only nature can truly make your skin look natural. Aloe Vera Gelee is a topical application that has many uses. It's like having an Aloe Vera plant in your pocket. In a handy small bottle, it can be carried with you when you travel. This product is a parent's best friend. You'll want one inyour car, purse, and kitchen for all those little emergencies. Never leave home without it. Aloe Farms' Hand & Body Therapy is the first product of its kind. Creamy and lightly scented, now you can get all the benefits of Aloe Vera and feel it too. Quench your skin the natural way! Whether you are pool side or heading to work, Aloe Farms' Hydra Aloe is the pure way to keep your skin's attackers at bay. Alight cucumber scent provides a refreshing pick me up for tired skin anytime of day. Wake up to beautiful skin with our Moisture Restore Night Treatment. Made with an aged Aloe Vera concentrate and without the use of oils or waxes. .
A light-weight gel moisturizer that hydrates skin. This Aloe Vera formula is made with grape seed oil and Vitamin C. This new moisturizer is a must for your daily skin care routine. A creamy blend of Aloe Vera and proven anti-aging ingredients. A perfect daily moisturizer with all the benefits of Aloe Vera. Purchase any of these products and more on our online store. There is no need to worry about irritations from our Aloe Vera. Our products are organically grown and processed.